Senator Harkin To Mayor Bloomberg: How About Accessible Cabs For Your Taxi Competition? NEW YORK, NEW YORK– Senator Tom Harkin (D-IA), a longtime champion of disability rights, this week urged New York City Mayor Michael Bloomberg to select a wheelchair accessible taxi in the city’s "Taxi of Tomorrow" competition with the goal of making taxis and the city itself friendlier to people with disabilities. New York City is currently in the process of selecting a new design for their fleet of 13,000 taxis. "I have also learned that the City is putting great emphasis on making its future taxi fleet wheelchair accessible by dramatically increasing the number of accessible vehicles from the limited 230 taxis that are accessible today," Harkin said a letter sent to Mayor Bloomberg. "Through this process, New York can set the standard for accessibility for taxis across the nation. 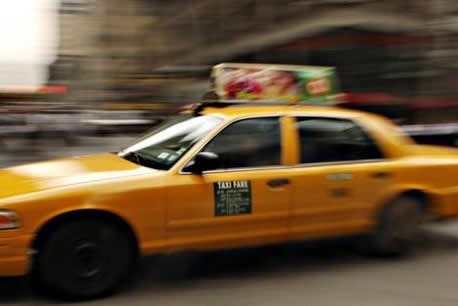 Indeed, New York could be the first city in the world to have a fully accessible taxi fleet. I hope you will take advantage of this opportunity to choose a Taxi of Tomorrow with a built-in wheelchair ramp system in every vehicle. Assuming that other features and elements of the competing models are roughly comparable, I urge you to select the taxi which would set the standard of accessibility and ADA compliance for the nation and the world." Harkin has long been a champion of persons with disabilities and a leader on disability policy. In 1990, he authored the Americans with Disabilities Act, landmark legislation that protects the civil rights of more than 50 million Americans with physical and mental disabilities. He has since been one of the strongest supporters in Congress for full funding the Individuals with Disabilities Education Act (IDEA), community-based health care services and supports, and other initiatives that enable people with disabilities to live independently.